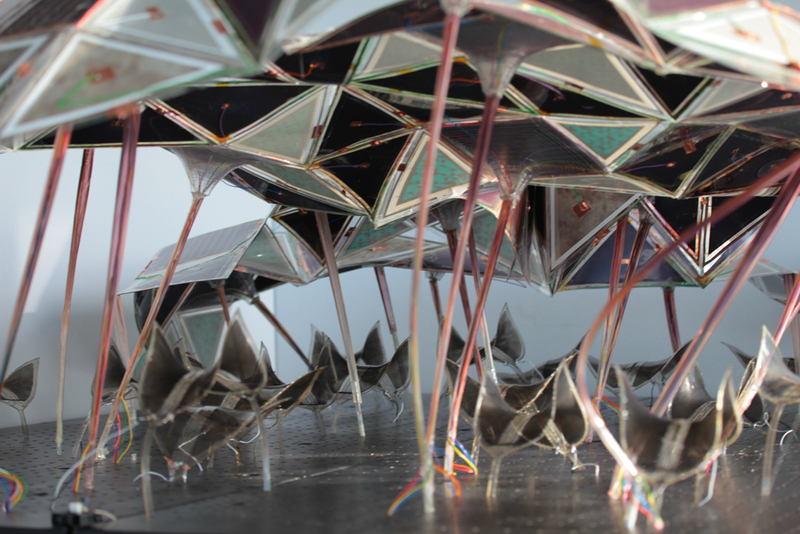 Phototropia is part of an ongoing series on the application of smart materials in an architectural context and was realized in April 2012 by the Master of Advanced Studies class at the Chair for CAAD, supervised by Manuel Kretzer. 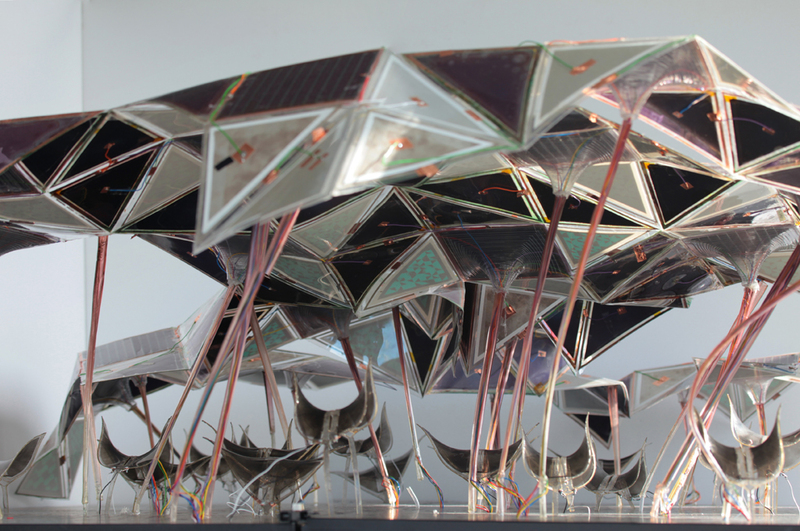 It merges self-made electro-active polymers, screen-printed electroluminescent displays, eco-friendly bioplastics and thin-film dye-sensitized solar cells into an autonomous installation that produces all its required energy from sunlight and responds to user presence through moving and illuminating elements. The generated energy is stored in batteries below the platform and then distributed via microcontrollers to the respective elements. 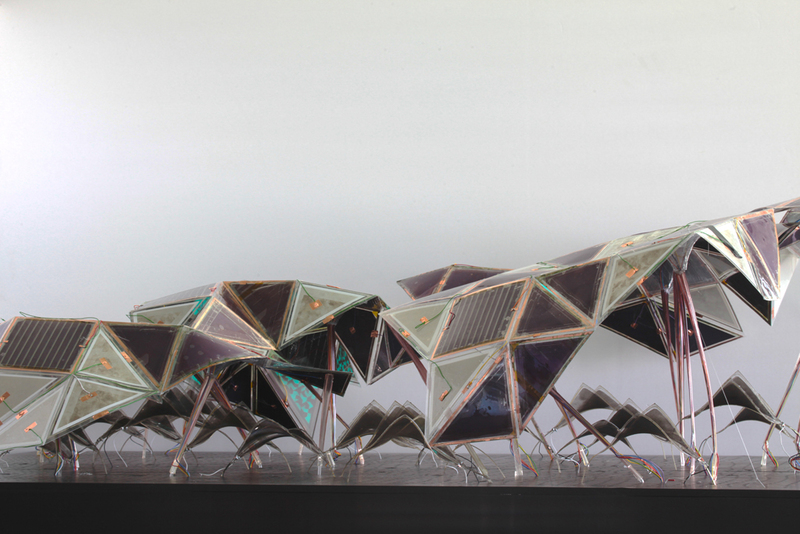 Phototropia finds its inspiration in participative and transient systems, proposed by visionaries like Yona Friedman or Constant Nieuwenhuys paired with a naive curiosity for self-made (smart) materials and an aversion towards mechanistic kinetic systems. 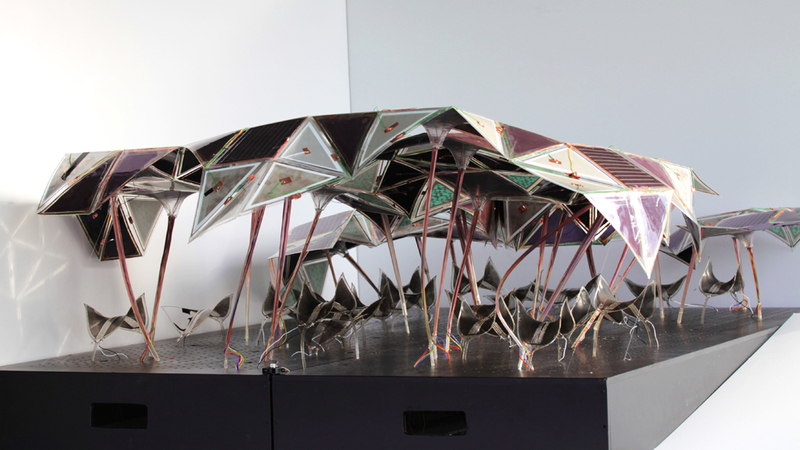 It is a proposal for an experimental architecture that can decay while actively being renewed, as a response to our times of tremendous globalization, increased connectivity and digital identity within our information based society. Jorge Ellert / ULANO Corp.
Reflective thread, innovative and newly patented.